Flying another kite - has George Osborne solved his pension tax conundrum? Flying another kite – has George Osborne solved his pension tax conundrum? The sky above Number 11 Downing Street must be a mass of tangled string and paper. 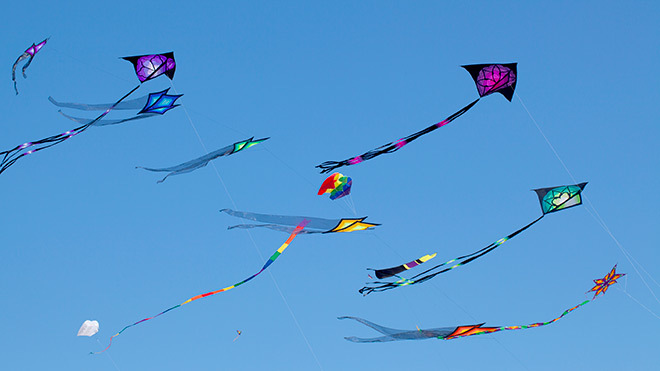 In the summer, the Chancellor flew a kite about changing taxation on pensions to resemble that of ISA accounts. Instead of up-front tax relief, savers would pay tax on their pension contributions and receive the proceeds tax-free at retirement. This week chucked out into the breeze above Whitehall was the prospect of flat-rate tax relief to replace the current system of marginal relief. Broadly, currently if you pay Income Tax a 40%, you get relief at 40%; if you pay 20% tax, that is your rate of tax relief. This could be replaced with a process where everyone, no matter their tax bracket gets relief at say, 33%, 30%, or 25%. The single biggest merit of the ISA-style TEE (taxed, exempt, exempt) system is that it delivers a pleasing acronym. I have explored before the problems it could throw up, probably the most important of which is that you have to have sufficient trust in future governments need to tax your savings in future. The wider pensions industry responded as positively to the idea as The Sun did to Osborne’s pasty tax. In its review of pensions tax, the government made much of individual responsibility. The best way to foster responsibility is to ensure it is easy for an individual to make good decisions by placing them within a system of decent value, well-governed workplace pensions. An essential part of this is up-front tax relief that provides an incentive to save for some, and support in building retirement savings for many. The argument for flat-rate relief boils down to asking who needs the greatest assistance in building up pensions savings? The average women has £20,170 saved in her pension pot and the average man £56,481. Both these numbers are far too low. Mr, and particularly Ms, Average needs a helping hand. In 2013/14, an estimated £34.3 billion tax relief was provided on contributions to approved pension schemes. This relief acts as an incentive for some workers. Among the biggest beneficiaries are those who receive tax relief at a higher rate than they pay in retirement, for instance going from the higher rate income tax band to being basic rate tax payers when they draw their pension. Currently, higher and additional rate taxpayers make half of pension contributions but benefit from 75% of tax relief. But a flat-rate that offers little more than savers currently get from basic rate tax relief will do little to boost pension savings. Likewise, it is in the interests of wider society if higher earners keep saving, not least because their large pension pots tend to bear many of the running costs of pension schemes. This means that the level at which any flat-rate tax relief is set is not a secondary issue. Flat-rate relief at around 33% would redistribute support between pension savers while keeping higher earners interested. Doing little more than just reducing the tax relief offered to higher earners (and creaming off the savings for other projects) sends a terrible signal about the importance society places on saving for old age. Any reform should not undermine defined benefit pensions including funded and unfunded public service pensions which remain key recruitment and retention tools for the state sector and are an important part of the remuneration package of public sector workers. Some will argue that reform risks adding unacceptable complexities into the pension system. But the system is already beset by complexities, not least the increasingly restrictive annual and lifetime allowances. But let’s not pretend that changing pensions tax will provide a solution to the UK’s pensions woes or in the hyperbole of some recent commentary destroy a hitherto well-functioning system. That will only come through increased contributions, possibly combined with better value pension schemes. Anything else is just whistling in the wind. EVENT: To discuss the future of pensions savings further, sign up to the TUC’s forthcoming Pensions Conference.